This activity grants permission on the list. 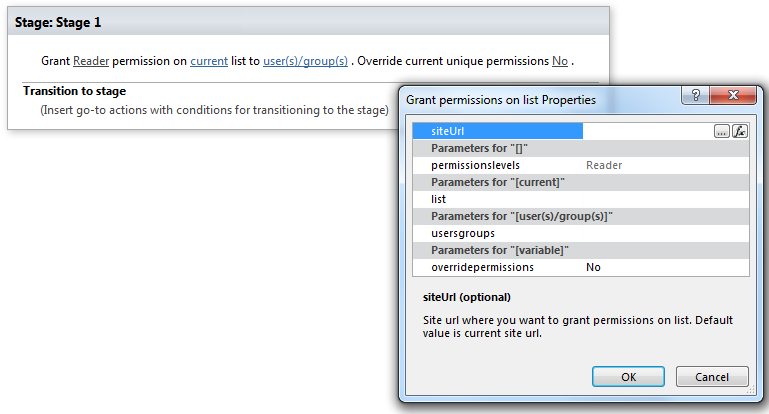 You can override or append user or group grant permissions. The activity supports multi permission assignment. Use ‘,’ or ‘;’ separator to grant several permission. Example: "Approve, Read, View Only".